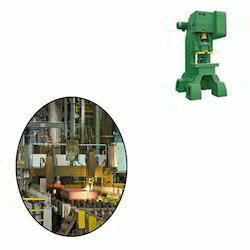 We offer a comprehensive range of C Frame Press Machine for Steel Industry. Offered power press machines are majorly accepted because of their supreme functionality and sturdy construction. Looking for C Frame Press Machine for Steel Industry ?